Desktop Icon Organizer – Software for Keeping Clean and Green Desktop! Files randomly scattered here and there, program icons are scattered all over and too many shortcuts! This is how a messed up computer desktop looks. To make your work easier and relieve you of the headache of finding things on desktop, we have compiled some of the best desktop icon organizer software. 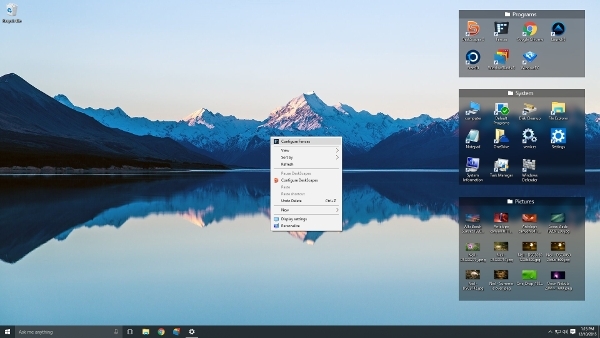 Download these softwares and keep your desktop attractive and tidy. If you are in total jeopardy of how to organize your desktop, Fences is there for your rescue. The software automatically creates space on desktop to keep things sorted out. You can give your choices and preferences for organizing the desktop. The trial version is free. Full version requires you to pay $9.99. The easiest software of this type, SE Desktop Constructor simply executes your organization preferences. 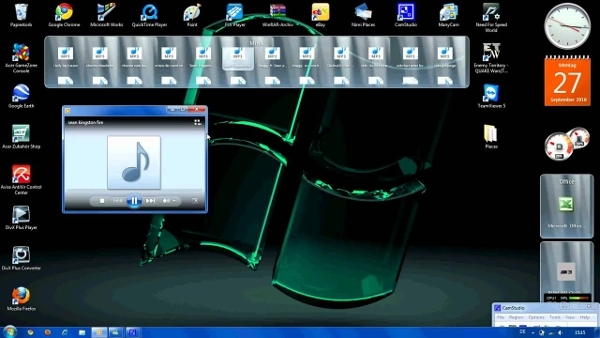 The software can be downloaded free on all Windows OS. You can customize the desktop wallpaper as per your choice. 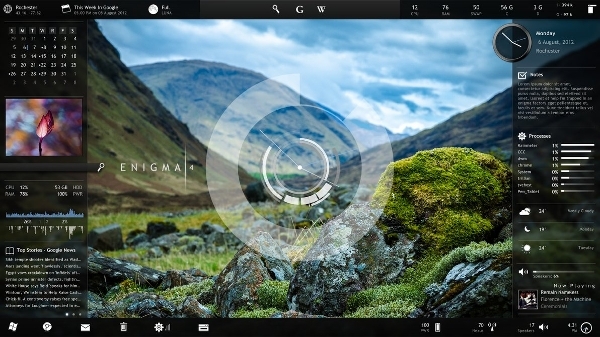 The software allows you to add additional stuffs like clocks, calendars to the desktop to make it look elegant. For a clean desktop, Nimi Places offers you the best possible solution. Check it out! The software is free on all Windows OS. You can create rectangular box of varying sizes on the desktop to sort out stuffs. 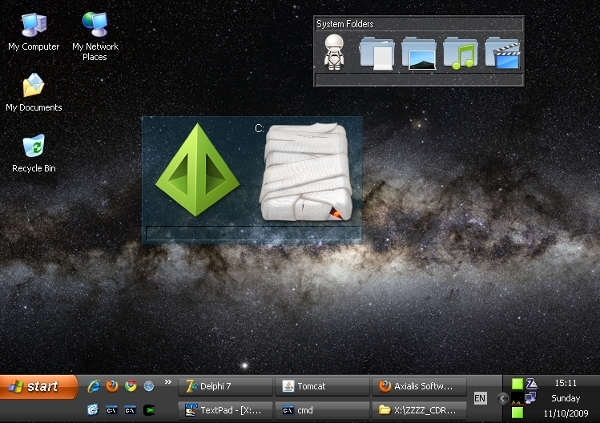 The software can be used to modify desktop theme. Media files can be accessed from the desktop without going to the concerned location. If you are a professional with lot of assignments, use Deskpot to create virtual desktops for different job assignments. This software is meant best for professionals. 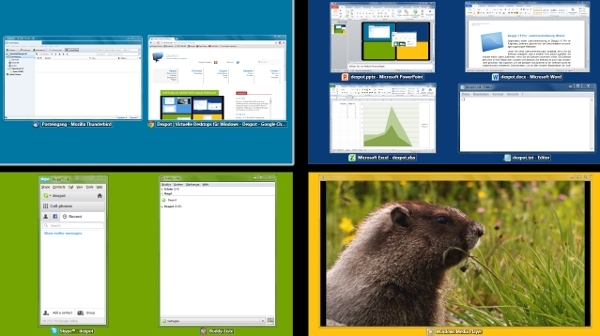 Create virtual desktop for different kinds of files. You can toggle between multiple desktops in between your work. 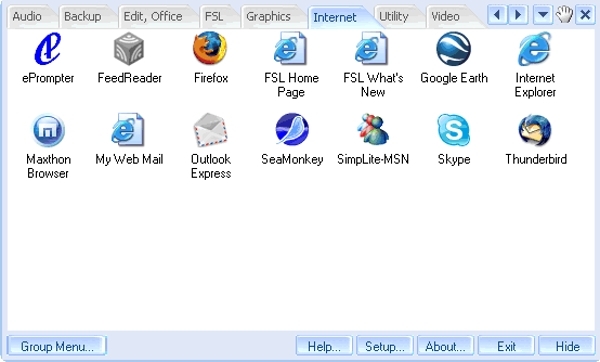 Organize your desktop categorically with FSL Launcher! The application can be customized to be placed anywhere on the desktop. Sorts out desktop stuffs on categories of applications, utilities, games and internet. The user can add more categories as per the convenience. As the name goes, SideSlide displays a sliding type interface on the desktop to help you organize things as per your categorical preferences. Requires the user to put all the icons in folders. Icons can be transferred from one folder to another. The option of copy and paste is not available. Gives you your required desktop. Simply bring the mouse pointer at the edge of the screen. Go on to make boxes on the desktop for sorting out files and folders with the software called ToolBox. The box a user creates contains tiles on which the icons can be placed. Parameters like name, cell spacing, border spacing etc can be determined by the user. The boxes can be kept anywhere on the screen. Organization with an elegant look – That is how you define Rainmeter! Staggering! Space just 1.3 MB but comes with very elegant features. The best software for design studios. 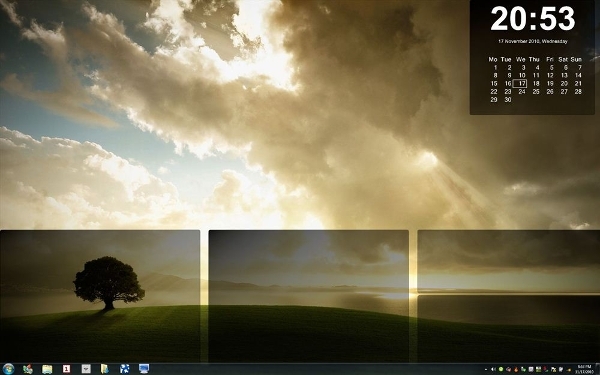 Offers user customized skins to beautify the desktop look. Organize the desktop and change the appearance to something unique and mesmerizing. Why confine yourself to the 2D desktop Screen! 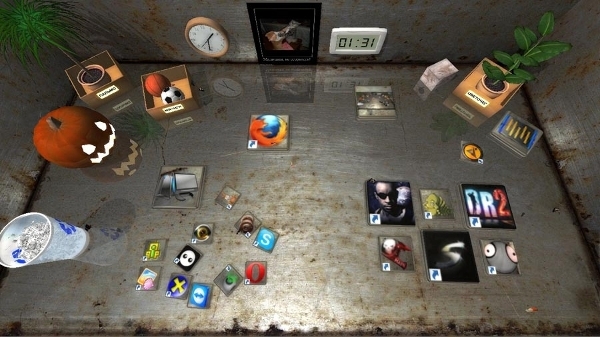 Use Real Desktop and organize your desktop in a 3D environment. The software gives a 3D look to your desktop and saves the desktop space. Very user as well as CPU friendly. The software comes with free games. Why and how these software can be installed? No marks for guessing the utilities of these applications. Everyone loves a clean and tidy desktop; the only thing is that we are too lazy to organize the stuffs. The compiled list of these tools will help you to change the look of your desktop. The method is simple. The links to the download page is provided along with every software. Simply go to the download page and download the software of your choice. Simply install the software and use it to customize your desktop into tidy and mess free look! Which is the best Desktop Organizer Software? Perhaps a genuine question! To determine the best software, you have to understand whether you want to use these for professional purposes or you simply want to customize your home PC desktop. These software comes with many additional features which you can use to give a new look to your desktop. To give an example, if you want to change the look of your personal PC, perhaps you can use Real Desktop or Fences or SE Desktop Constructor. You can be sure that we have compiled this list after lot of research. We have taken special care of customer preferences and reviews while preparing this list.